The Bed Desk is made with imported Baltic Birch, handle-carved legs, a pen hole, adjustable 0º-90º lid & ledge supports, a brass book binder clip, an embossed leather strap, and "the slimmest & trimmest, light-weight design." The Bed Desk is also available in a variety of natural woods with clear or colored satin finishes. It is ideal in bed or on a desk, table, chair, plane, car, train, RV, boat. 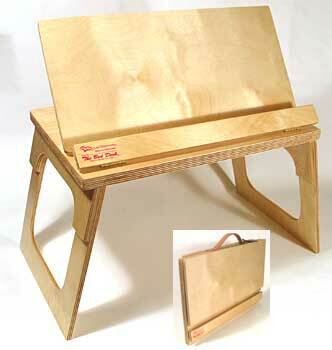 It can also help relieve a person suffering with neck and back pain, by holding a book's binder and pages in place. 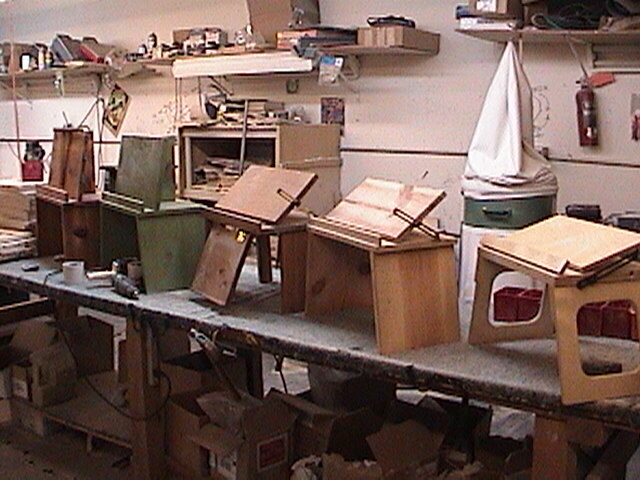 It's 100% hand crafted and guaranteed. 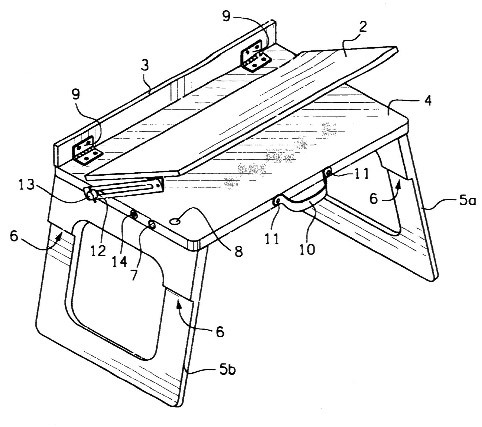 The Bed Desk is patented in the USA! Table weight capacity: 10-20 lbs.